Absolute Auction: 1,023± Acres Offered in 24 Tracts – Woltz & Associates, Inc.
Tranquility Ranch lives up to its name. You will realize why on your first visit. As you cross over Buzzard Creek to enter the property, you will be put in the mood of the old western films and visualize riding with John Wayne along the rock bluffs and trails throughout this gorgeous land. An abundance of wildlife roams the ridge lines and canyons in every direction, sometimes stopping for water by the cool, spring fed ponds and branches. This gated ranch offers underground electric and well maintained gravel roads on the north section. 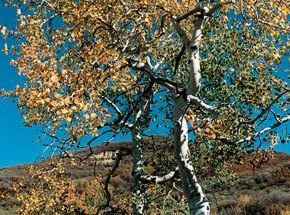 The beauty of shimmering Aspen groves, mountain trails and creeks await you on the southern portion. Come and explore the true West and select your very own home site in this vast, beautiful country. This is an Outstanding Opportunity to own Property at Your Price! • Beautiful home sites with incredible Rocky Mountain views! 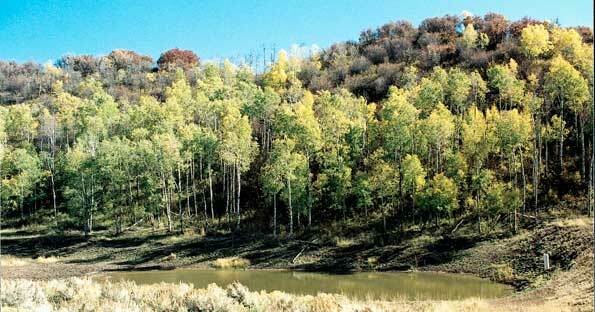 • Excellent back country recreational opportunities! • Abundant hunting and fishing resources! 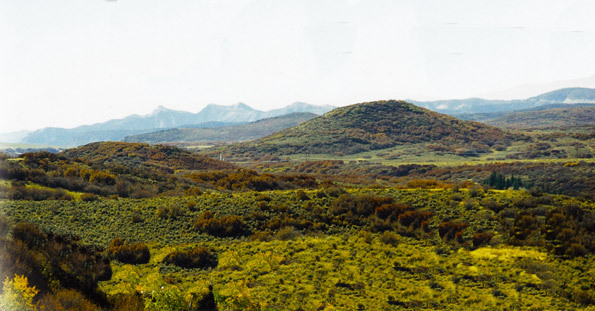 The North 514± Acres has gravel roads and underground electric in place and joins BLM land to the east with all tracts having access to the BLM. 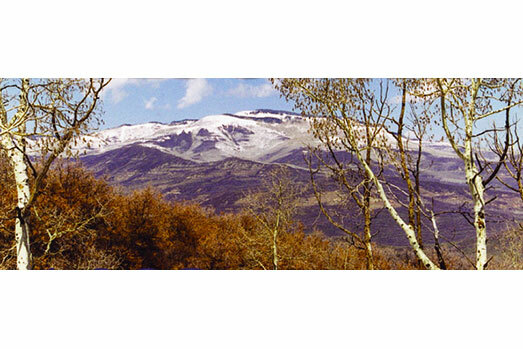 The South 509± Acres joins the Grand Mesa National Forest on the east side and maintains it rustic appearance with its undisturbed surroundings. All Tracts Sold by the Boundary, not by the Acre. Gates are locked. Please call before venturing out to see this property. Gates will be unlocked on the Open House dates. staying on 330 East for 12.3 miles (this road will turn to gravel). Turn right on to Harrison Creek Road at Tranquility Ranch Property. From Grand Junction: Take I-70 East to Exit 49 (Collbran/Grand Mesa Exit). Take Highway 65 East approximately 10 miles and turn left onto Highway 330. Go 11.4 miles and turn left on Main Street and 330. Cross bridge in Collbran and turn right staying on 330 East for 12.3 miles (this road turns to gravel). Turn right on Harrison Creek Road at Tranquility Ranch property. Scenic, unpaved “Over the Mountain” route: From I-70 (E or W): Take Exit 97 (Silt) and turn south at the end of the exit ramp. Go about 100 yards and turn left onto River Frontage Rd. Go 0.4 mile and turn right onto Divide Creek Rd. Go 0.6 mile and turn right onto Dry Hollow Rd. (CR 331) toward Collbran. Go 0.5 mile and bear left to stay on Dry Hollow Rd. and go 6.7 miles and bear left onto David Rd. Go 0.8 mile and turn left onto CR 327 Rd. Go 1.2 miles and turn right onto Fairview Rd. 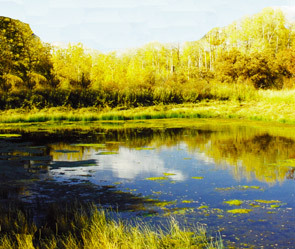 (CR 342) and go 15.5 miles to the entrance of Tranquility Ranches on the left. Note: Fairview Road goes through the White River National Forest. Along the route, follow the signs to “Collbran”. PROCEDURE: Tracts 2-26 will be offered in individual tracts, in any combination of these tracts, and in its entirety. Any qualified registered bidder may bid on tracts, tract combinations, and the total property. DEPOSIT: Successful bidders shall deliver on day of sale to Woltz & Associates Inc., 10% of the final contract sales price as an escrow deposit via cash, cashier’s check, or pre-approved personal check. A bank letter stating “____________, account number ________, is a customer of this bank in good standing” should accompany personal checks. YOUR BIDDING IS NOT CONDITIONAL UPON FINANCING, SO BE SURE YOU HAVE ARRANGED FINANCING, IF NEEDED, AND ARE CAPABLE OF PAYING CASH AT CLOSING. Deposit checks should be payable to Abstract Title Company. SELLER FINANCING: Registered Bidders who have been approved for Seller financing prior to the auction will be required to pay a minimum down payment of 20% in cash (which includes the 10% deposit day of sale) and may finance up to 80% of the purchase price with an annual interest rate of 7.00%, amortized for 20 years with a balloon payment due at the end of year five (5). determine the total purchase contract price (i.e. high bid $100,000 + 5% buyer’s premium = $105,000 as the purchase contract price). applicable closing documents are completed and can be scheduled with Abstract Title Company. PROPERTY INSPECTION: Each potential bidder is responsible for conducting, at their own risk, their own independent inspections, investigations, inquiries, and due diligence concerning the property. Inspection dates have been scheduled and will be staffed with auction personnel. Please feel free to inspect any other time. Call to check status of gates before driving to the property. Also, tracts are marked with surveyor’s corner markers along roadways and there are auction tract signs for your convenience. Please inspect each tract before bidding. BROKER ASSOCIATION: This auction is being conducted in association with Wayne Pollard of Starr Western Real Estate, 111 3rd Street Suite 100, Rifle, CO 81650. NEW DATA, CORRECTIONS, AND CHANGES: Please arrive prior to scheduled auction time to inspect any changes, corrections, or additions to the property information. The auction sale begins at 5:00 PM. Registration begins at 3:30 PM. Pre-register online at www.woltz.com. Auction Sale will be held at the Adam’s Mark Hotel in Grand Junction, Co. For continual updates on this auction, please visit www.woltz.com. BROKER PARTICIPATION: Any broker actively licensed in the State of Colorado who properly registers the successful high bidder will be paid a 2% commission at settlement by the Seller. Registration must be on a Woltz & Associates, Inc. Buyer Broker Form and contain the name, address, and signature of agent and prospect, as well as broker’s license number and Federal Tax ID number. The form must be received in the offices of Woltz & Associates, Inc no later than June 23rd, 2004 by 2:00 PM MDT.